Right after logging into Facebook, it is almost certain that within a few minutes you will come across some sort of video. Whether it is an online advertisement, someone’s original content, or a live stream, video has seemed to take over social media on all platforms. 8.5 in every 10 online users can be reached through online video marketing, so if you are not starting to use video in your marketing strategy, now is a good time to start. 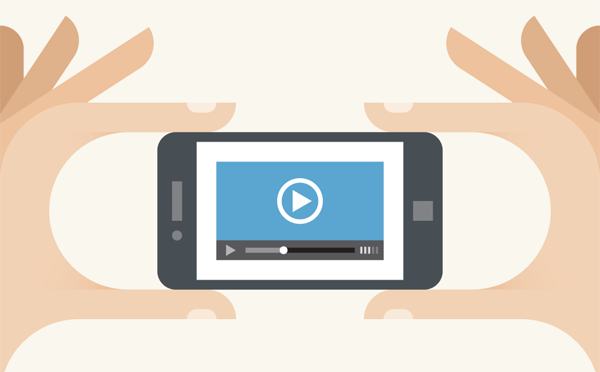 Here are a few ways in which you can start using videos to market yourself and your brand. Live streaming, made popular by Facebook, has recently become the newest form of video sharing on social media. You are able to record video from your laptop/ smart phone in real time and share it with your entire network. Most businesses and brands have not fully utilized this new feature since it is still so new, but getting the feel for this new platform could really help your marketing efforts in the future. You may be able to incorporate this into future branding, for example holding live question and answer sessions, having live press releases, etc. This form of social video is only available on platforms such as Facebook and Snapchat, but it is certain that other platforms, such as twitter and Instagram ,will be following this trend in the near future. For this reason, it would be beneficial to understand how live video works on social media now, so that you can be ahead of the game in the future! Most users in today’s society look for the quickest way to gather information, so most social media users are not going to watch a three to four minute video any longer. Now, content must be condensed to under one minute in order to catch and keep the viewer’s attention. Most social media platforms only allow for a certain time limit for their videos, so you need to keep in mind the message you want to get across in your short video, and determine how you are going to make those few seconds memorable for the viewer. A good tip for creating condensed content into your videos is to remember the top three ways you should use video strategy to most effectively market your brand: Educate, Inspire, Reveal. You should focus on one of these things during your video planning in order to get the most out of the few seconds that you have for your video. Another way you can easily incorporate videos into your marketing strategy is to create videos that promote your brand’s product or service, or promote content that you previously created. One way to effectively do this is share a piece of information with viewers from the content you are promoting, or give a “teaser” for an upcoming article or product that you will be releasing soon. This way, people will become interested in the content that you already have created, and they will get excited about what is coming from you in the future. Creating video ads and promoting your content through these advertisements is another clever way to incorporate video marketing into your strategy. However, you must make your advertisements relevant to the content you are advertising on. It is necessary that you know your target audience before create an ad, because even the greatest of ads will fail to hit their target if they are aimed at the wrong demographic. These video ads could be key to driving traffic to your content, so make them creative and make them relevant. As video marketing becomes more popular and more effective, it is extremely important that you constantly keep tabs on the market for videos, and you keep with the pace of its growth. Video marketing is just getting started; it is estimated that by 2019, video will account for 80% of all global internet traffic. So get your foot in the door with video marketing now because it will be worth it in the long run.